African teams will be making their first attempt at competing at the Tokyo 2020 Olympic Games when the 2019 All African Games holds later in the year in Morocco. Beside the African version of the Olympic Games holding in Rabat and Casablanca, the continent will host major tournaments in the ITTF Calendar both at junior and senior levels. Starting with the World Junior Circuit and African Junior and Cadet Championship holding in Accra, Ghana comes April. According to the President of African Table Tennis Federation (ATTF), Khaled El-Salhy, the continental body would support national associations hosting major events this year. Efforts will also be geared toward empowering the African regions in terms of development. 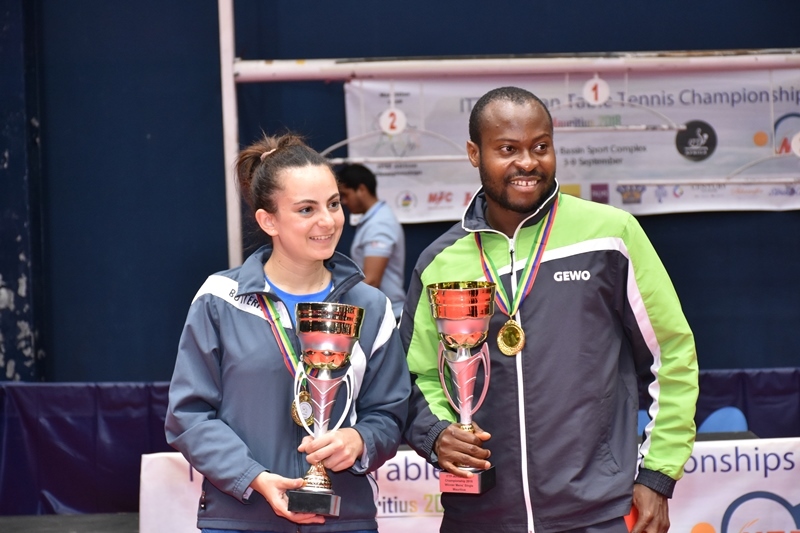 “We are planning to give much more strength to our regions to reach some more sites in Africa and to spread out the development activities through the ITTF contribution for 2019,” Khaled El-Salhy added. He however said that the federation is also working tirelessly to encourage teams to compete in continental events in order to be part of world events. “We are following up with all national Associations for their plans of development and encourage them for well participation in our African events which is the main gate to qualify for World events. “We tried always to connect the African Juniors Championship with a Junior Circuit event to ensure having a good chance for our talented juniors to take part in an important ITTF Sanctioned event together with the main continental one to qualify for World Juniors & World Cadet Challenge, meanwhile we tried always to organize our African events in many parts of Africa (North, South, East, West & Center) to activate the whole body of our continent, then finally we are following up with our brave national Associations whom hosted ITTF Sanctioned events to show to the whole World that Africa could organize very successful events (i.e. Nigeria – Tunisia – Morocco Egypt and many other Associations),” he said.